I don’t like the term ‘best friend’. No, I don’t hate puppies and babies and rainbows too, let me explain my stance on this one. I think that ‘best friend’ doesn’t promote the friendly, inclusive atmosphere that I want to provide for my children. Instead, I use the term ‘great friend’. By communicating to my 3-year-old son that his cousin is a great friend of his, I hope he will see that he can have many great friends, without a ranking system. I’m lucky to have many great friends in my life. A friend is there to help out in a crisis. A great friend brings red wine and chocolate and sits on my couch for a talk and a cry. A friend is someone I can go for a run with. A great friend goes for that run at 6am if that’s the only time that will work for us both. A friend will ask me if I want a coffee. A great friend will know that I never turn down a coffee. A friend will look after my kids for an hour if I have an appointment. A great friend will suggest babysitting so my husband and I can get in a datenight. A friend will tell me they like my shirt. A great friend will go shopping with me and help me choose a shirt. A friend will stay in touch. A great friend will pick up exactly where they left off, whether they’ve been in touch or not. A friend will comment on my Facebook photos. A great friend will know the stories behind those photos. A friend will ask me how work has been going. A great friend will be texting me during my downtime at work. A friend will wish me a happy birthday. A great friend will laugh about birthday stories of year’s gone by. A friend will ask me how I’m doing. A great friend will already know the answer. These are my great friends. 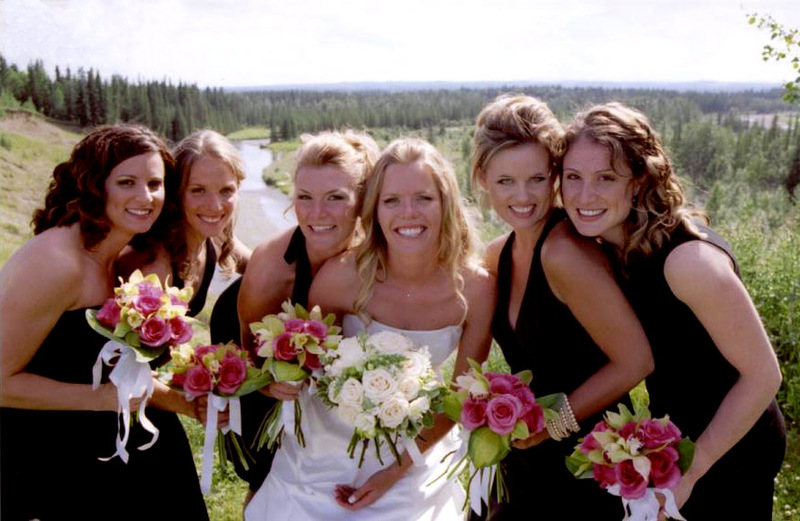 And this was the last time all six of us were together- July 15/06- eek!